The concept of an omnipresent God is a theological rather than biblical concept. God's position is fixed. In heaven. Though he can be anywhere he wants any time he wants. He isn't really omnipotent in the strictest sense. Think of the term omnivores. An exaggerated application of that term would be that an omnivore can eat anything. Rocks, nuclear warheads, planets. It's stupid. God can't lie. Omniscient? Not as such. He didn't know what Cain had done, what Adam had done, if the protests against Sodom and Gomorrah were warranted. All powerful? Within the context of his own will and purpose. All loving? That's a really vague and subjective term. Does it every worry you so many people refer to it as the new testament and old testament and are not even aware of the supposed mistranslation? Does it every worry you perhaps because such a strong majority consider it that way that you are perhaps in the wrong compared to your own theist peers? Even if it is a mistranslation? Why would you want to worship a "god" that is not all powerful and all knowing? If god does not know what cain did etc, what else does god not know? Perhaps "god" has no idea you and many others pray to him? How does god know if you been good or bad when you reach the pearly gates? This is why so many religions love to insist on the omni version of god, soon as you say god is not all powerful and all knowing, how can we possibly know what this "god" does or does not know? What this god is actually capable of perhaps his power is actually inconsequential? Real slippery slope. I understand that it isn't important to most unbelievers, but it creates an illusion of separation where there actually isn't one which causes all kinds of misunderstandings. Just try and imagine if there was a similar confusion with the Ediacaran and Cambrian periods which had been acknowledged and rectified but was repeatedly ignored due to nothing more than habit. How does God know if we've been good or bad? I think you might be thinking of Santa Clause. God can get to know anything he wants to but that doesn't imply he knows everything, for example, what you are thinking. The case of Sodom and Gomorrah has God sending angels, the three who visit Lot, and hearing the prayers complaining about Sodom and Gomorrah. So there's two things you can get from that. God doesn't know everything and he hears prayers. I disagree with the later part of you response. First, due to the fact that God doesn't need to know everything. Not everything is useful or significant to the degree that he has to know it, so why should he? Invade our privacy, get in our heads, etc. Religiosity exaggerates omnipotence, omniscience and teaches the incorrect omnipresence because of theological excursions into ignorance. Why do you lie about Jesus being mentioned in the OT? Jesus is not mentioned in the OT. That is a lie if you say he is. Not one of those mentions Jesus. Did you think we wouldn't read them all? They are all fulfilled prophecies of Jesus Christ. Actually I did think you wouldn't read them all. I have read them all. Not one mentions Heysoos the Magic Lich Virgin.
" Of the increase of his government and of peace there will be no end, on the throne of David and over his kingdom, to establish it and to uphold it with justice and with righteousness from this time forth and forevermore. The zeal of the LORD of hosts will do this." I'm sorry Talyyn, I don't understand the point you were making by posting Isaiah 9:7. My bad, you should have posted the verse before. How do you suppose they knew he was coming? You know that Jesus is not mentioned in the OT. Isn't lying a violation of one of the 10 commandments? "You know that Jesus is not mentioned in the OT." Remember, the writer always gets naming rights when he writes a story. So the answer depends on which version you read. Psalm 89:1 (1599 Geneva Bible) = "1 With many words doth the Prophet praise the goodness of God, 23 For his testament and covenant, that he had made between him and his elect by Jesus Christ the son of David. 38 Then doth he complain of the great ruin, and desolation of the kingdom of David, so that to the outward appearance the promise was broken. 46 Finally, he prayeth to be delivered from his afflictions, making mention of the shortness of man’s life, and confirming himself by God’s promise. [ A Psalm to give instruction, of Ethan the Ezrahite. ] I will sing the mercies of the Lord forever: with my mouth will I declare thy truth from generation to generation." Psalm 109:1 (1599 Geneva Bible) = "1 David being falsely accused by flatterers unto Saul, prayeth God to help him, and to destroy his enemies. 8 And under them he speaketh of Judas the traitor unto Jesus Christ, and of all the like enemies of the children of God: 27 And desireth so to be delivered, that his enemies may know the work to be of God. 30 Then doth he promise to give praise unto God. [ To him that excelleth. A Psalm of David. ] Hold not thy tongue, O God of my praise." Psalm 117:1 (1599 Geneva Bible)= "1 He exhorteth the Gentiles to praise God, because he hath accomplished as well to them as to the Jews, the promise of life everlasting by Jesus Christ. All nations, praise ye the Lord: all ye people, praise him." Jeremiah 23:1 (1599 Geneva Bible) = "1 Against false pastors. 5 A prophecy of the great Pastor Jesus Christ. Woe be unto the pastors that destroy and scatter the sheep of my pasture, saith the Lord." Song of Solomon 1:1 (1599 Geneva Bible) = [ An Excellent Song Which Was Solomon’s ] 1 The familiar talk and mystical communication of the spiritual love between Jesus Christ and his Church. 5 The domestical enemies that persecute the Church. Let him kiss me with the kisses of his mouth: for thy love is better than wine. Song of Solomon 8:1 (1599 Geneva Bible) = "2 The Church will be taught by Christ. 3 She is upheld by him. 6 The vehement love wherewith Christ loveth her. 11 She is the vine that bringeth forth fruit to the spiritual Solomon, which is Jesus Christ. Oh that thou werest as my brother that sucked the breasts of my mother: I would find thee without, I would kiss thee, then they should not despise thee. "Isn't lying a violation of one of the 10 commandments?" Lying IS NOT prohibited by the Ten Commandments. Lying is prohibited by the regular laws. All of which are NOT prophecies. They are vague enough, just like astrologer's horse hoowhee, anything can be made to seem to be a prophecy. And I am shocked you did not mention the one that is my birth date, Isaiah 7:14. I could even give you a short lesson about that one. Care to attempt to prove that? 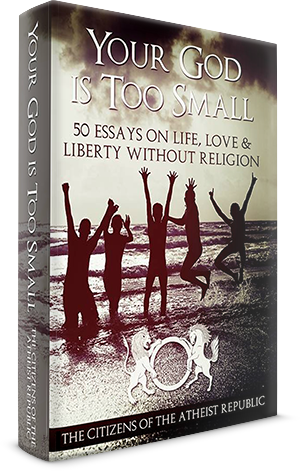 "The concept of an omnipresent God is a theological rather than biblical concept. ...Omniscient? Not as such." Be careful because you are on shaky ground and may fall into the lake of fire for being a false prophet. The biblical writers made the God character omniscient. You can say that you, the so-called god Empedocles, is not omniscient but the biblical God was given that attribute. 1 Samuel 2:3 (ERV) = Don’t continue bragging. Don’t speak proud words, because the Lord God knows everything. He leads and judges people. Job 11:6 (TLB) = Oh, that he would make you truly see yourself, for he knows everything you’ve done. Listen! God is doubtless punishing you far less than you deserve! Job 37:16 (ERV) = Do you know how the clouds hang in the sky? This is just one of the amazing works of the one who knows everything. Psalm 33:15 (CEB) = God is the one who made all their hearts, the one who knows everything they do. Psalm 94:10 (TLB) = He punishes the nations—won’t he also punish you? He knows everything—doesn’t he also know what you are doing? Proverbs 15:11 (ERV)= The Lord knows everything, even what happens in the place of death. So surely he knows what people are thinking. Proverbs 24:12 (ERV) = You cannot say, “It’s none of my business.” The Lord knows everything, and he knows why you do things. He watches you, and he will pay you back for what you do. Ecclesiastes 12:13-14 (ERV) = Now, what should we learn from everything that is written in this book? The most important thing a person can do is to respect God and obey his commands, because he knows about everything people do—even the secret things. He knows about all the good and all the bad, and he will judge people for everything they do. Hebrews 4:13 (TLB) = He knows about everyone, everywhere. Everything about us is bare and wide open to the all-seeing eyes of our living God; nothing can be hidden from him to whom we must explain all that we have done. 1 John 3:19-20 (ERV) = That’s how we know we belong to the way of truth. And when our hearts make us feel guilty, we can still have peace before God, because God is greater than our hearts. He knows everything. 1 John 3:20 (TPT) = Whenever our hearts make us feel guilty and remind us of our failures, we know that God is much greater and more merciful than our conscience, and he knows everything there is to know about us. Wisdom 1:7 (CEB) = The Lord’s Spirit fills the whole world. It holds everything together and knows what everyone says. Remember, when you write a story you can give the characters whatever powers and qualities you want them to have. The writers who wrote the Bible gave the God character some super powers so you can't say that the biblical God character is not omniscient, omnipotent, and omnipresent because they clearly gave him those powers. A whole new raft of claims, are we to be troubled by any objective evidence? Especially the supernatural claims about the deity. Can you explain why the bible has remained uncorrected and so many people seemingly unaware it's erroneous? If this is in error what other errors are in there, a creation myth that bears no resemblance to actual events of the origins of the universe, our solar system or life on this planet is a given. A global flood myth that is risible when compared to the realities of species diversification on this planet. A man living inside a whale for weeks. An exodus myth that left no archaeological evidence behind at all. The concept of sin based on two humans when geneticists know a bottle neck of less than a few hundred thousand couldn't account for the genetic diversity in the human genome. Why should I give such nonsense any credence if even believers admit it contains errors, and can't demonstrate any objective evidence for any deity or anything supernatural? "So, I suppose, you are talking about God creating evil?" He's an atheist, this would preclude that idea. He's more likely pointed out that those monotheists who believe in a perfectly benevolent diety are contradicted by the existence of evil. Note a perfectly benevolent deity that possessed limitless power and knowledge, wouldn't have to create evil, just allow it to happen. I find apologetics that use parent analogies facile, as human parents don't possess limitless knowledge, power and benevolence, as the deities they are arguing for are claimed to. That's where the the belief is self contradictory. What human parents do has no relevance as it's a very poor comparison. He's an atheist, this would preclude that idea. Use your imagination. Pretend the text is fiction. That wouldn't be too much of a stretch for you would it? The rest of what you said is just a demonstration of how uninformed you are and I address the points you were so painfully struggling with in my response to . . . that other person. Talyyn, I think it was. By the way, Moonpie . . .
"Use your imagination. Pretend the text is fiction." That requires no imagination, and is precisely what I was pointing out. As you'd know if you possessed the intellect to master even a basic level of reading comprehension. And well done for yet again ignoring a post you clearly can't manage any cogent response to, and resorting to yet more pathetic ad hominem. Enjoy it, as I suspect your time here will be short lived if this trolling nonsense is all you have. Problem of evil..."The problem of evil is the question of how to reconcile the existence of evil with an omnipotent, omnibenevolent and omniscient God (see theism). 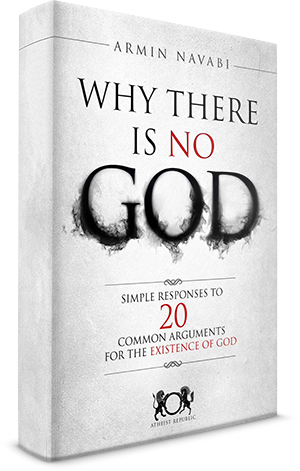 An argument from evil claims that because evil exists, either God does not exist or does not have all three of those properties." Who is the Holy Father? The sons of God? The Bride of Christ? Relevance to my point escapes me. Comparing the choices human parents make with a deity that possess limitless knowledge and power is facile. I'd have thought the rationale was obvious, yet it is ridiculous how much it used in religious apologetics. The Noah flood story is just a First Commandment story that illustrates how Jealous drove the Ammonite, the Canaanite, the Hittite, the Perizzite, the Hivite, and the Jebusite out of of the "Promised Land" = Exodus 34:11. I have no idea what a "First Commandment story" is and I'm not sure what to make of your point, if there is one. I might reply . . . okay? "I have no idea what a "First Commandment story" is and I'm not sure what to make of your point, if there is one. I might reply . . . okay?" All of the biblical stories are based on one or more of the Ten Commandments found in Exodus 34:11-18. The miracles are based on Exodus 34:10. If you don't understand that and know what the real Ten Commandments are then you will never be able to fully understand any of the biblical stories. Even Matthew 7:6 and Matthew 13:13 are First Commandment stories. Learn the real Ten Commandments = Exodus 34:11-28 = and then you will eventually be able to associate every biblical story with one of them. Most of the biblical stories illustrate the First Commandment, which is basically that the Israelites/Hebrews/Jews were to kill everyone they could and enslave the ones they didn't kill or to simply ignore them if they were too powerful to fight.